The Alan J. Friedman Science Center Dialogues are conducted in memory and tribute to the founding director of the New York Hall of Science, Queens. The Friedman Dialogues—sponsored by The Kavli Foundation—connect science-center professionals and science educators and communicators to timely and thought-provoking issues emerging in science and society. The session is presented in the spirit of the commitment Alan had to the science center field and the issues and interests that were reflected in his own writings and presentations over the years. This year’s 2018 Friedman Dialogues will focus on how we can better understand ourselves—and the communities and people we serve—through the lenses of neuroscience, psychology, medicine, and public health—especially when broadening engagement in science and engaging diverse audiences means encountering different behaviors, approaches, and backgrounds in the young people and families within these communities. How do our early experiences and environment shape us, affect our health, and impact our perception of the world? When and why do biology and physiology matter as we strive to understand what makes us human and what makes each of us unique? What are the implications for improved public health, for effective learning, and for increased equity? Our discussion will also focus on science centers’ unique role as trusted community institutions that can engage the public in considering the implications of science and technology. This event is open to everyone, and is included with your ASTC2018 registration. 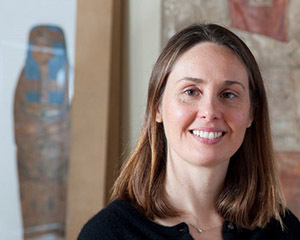 Stephanie Devaney, Ph.D., is the Deputy Director of the All of Us Research Program at the U.S. National Institutes of Health (NIH), a historic effort to gather data from one million or more people living in the United States to accelerate research and improve health. By taking into account individual differences in lifestyle, environment, and biology, researchers will uncover paths toward delivering precision medicine. Prior to this she led the coordination of the Precision Medicine Initiative (PMI) from the Office of the Chief of Staff at the White House. In this role she coordinated the many components of the initiative and guided the vision of the overall effort, along with the many federal partners. Before joining the White House, Devaney worked in the Office of the Director at the NIH, where she helped advance policies critical to biomedical research and the NIH mission and assisted in the development of programs and research initiatives to advance national scientific priorities, including the PMI. Prior to that, she was a researcher at the Genetics and Public Policy Center at Johns Hopkins University, where she conducted research on pharmacogenetics and drug labeling, performed a meta-analysis of non-invasive fetal gender genetic testing, and was involved in public engagement surrounding the many ethical and social issues that are emerging with novel genomic technologies. Devaney received her doctorate in molecular genetics from the George Washington University and her bachelor’s degree in biology from The Ohio State University. 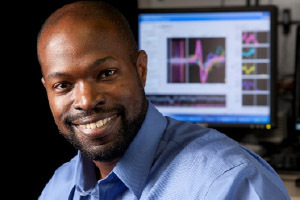 Kafui Dzirasa, Ph.D., is Associate Professor of Psychiatry and Behavioral Sciences at Duke University, with appointments in the departments of psychiatry and behavioral sciences, neurobiology, biomedical engineering, and neurosurgery. His research interests and lab focus on understanding how changes in the brain produce neurological and mental illness, and his ultimate goal is to combine his research, medical training, and community experience to improve outcomes for diverse communities suffering from neurological and psychiatric illness. Dzirasa is the first African American to complete a doctorate in neurobiology at Duke and has participated in numerous programs geared towards exposing youth to science and technology, providing health education for underserved communities, and organizing clinics to screen for chronic diseases. He received the Charles Johnson Leadership Award in 2007, and he was recognized as one of Ebony magazine’s 30 Young Leaders of the Future. He has also been awarded the International Mental Health Research Organization Rising Star Award, the Sydney Baer Prize for Schizophrenia Research, and his laboratory was featured on CBS 60 Minutes in 2011. In 2016, he was awarded the inaugural Duke Medical Alumni Emerging Leader Award and the Presidential Early Career Award for Scientists and Engineers, America’s highest award for scientists and engineers in the early stages of their independent research careers. In 2017, he was recognized as 40 under 40 in Health by the National Minority Quality Forum, and the Engineering Alumni of the Year from UMBC. 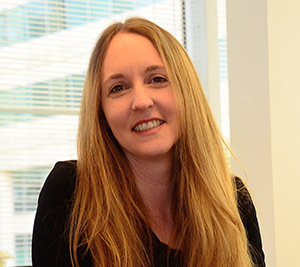 Rae Ostman, Ph.D., is Associate Research Professor in the School for the Future of Innovation in Society at Arizona State University, Co-director of the Center for Innovation in Informal STEM Learning, and Director of the National Informal STEM Education Network (NISE Net). She has broad experience planning, developing, implementing, and studying museum exhibits, programs, media, and other learning experiences in partnership with diverse organizations. Prior to joining ASU, she has worked at Acoustiguide, Cornell Botanic Gardens, the Exploratorium, Museum of the Moving Image, the Royal Ontario Museum, Science Museum of Minnesota, and the Sciencenter. She earned a doctorate in anthropology from New York University.